Instagram Crazy! My vegan breakfast recipe backlog. Lately, I've taken to Instagram over other social media platforms like Twitter and Facebook. I haven't abandoned the others but I'm finding more great content on Instagram and have been happy to connect with others who share my obsession with food and taking pictures of food. 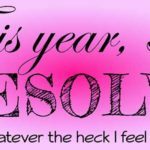 To that end, I've also been posting recipes that I haven't shared here on this blog. I feel that I'll continue to do that as blog posts normally take me longer to write; I feel like they just demand more content and effort. Instagram posts, on the other hand, seem to demand conciseness, brevity and therefore, less effort. OOOooor that's just what I tell myself. I may or may not be addicted. 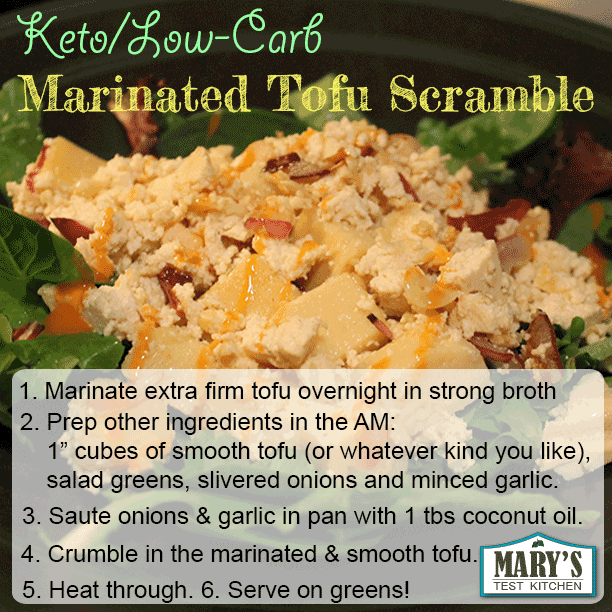 I made this scramble when I was experimenting with creating keto-friendly dishes. I wanted to see if I could create enough keto-friendly dishes to make up a 21 day vegan diet plan. It could be useful for transitioning vegans or omnivores on a keto diet that want some more variety. A few dishes in and I realized that yes, it was possible to eat a vegan keto diet but it was going to require more time, effort and a bigger food budget than I was willing to spend. Limiting starchy vegetables is just not what I want to do in the middle of Winter in the city of Calgary. Perhaps I'll give it another go in the summer. In any case, this marinated tofu scramble is just an easy vegan breakfast recipe that so happens to be keto-friendly. The trick is to use STRONG broth to marinate that tofu! I used double strength chicken-style vegetable broth, a little soy sauce, and garlic and it makes the tofu incredibly savory and juicy. I didn't include amounts of anything as they should probably be adjusted for your own macro goals. But for reference, I used 1/4 block of marinated tofu (85g), a tablespoon of onions and garlic, and 1 tablespoon of coconut oil for the scramble. Then I set it on a cup of salad greens with a half teaspoon of french dressing drizzled on top. I had bought a huge bag of chickpea flour to use in seitan but wanted to experiment with other chickpea flour recipes. I came across a mention of Burmese tofu which I found quite curious. 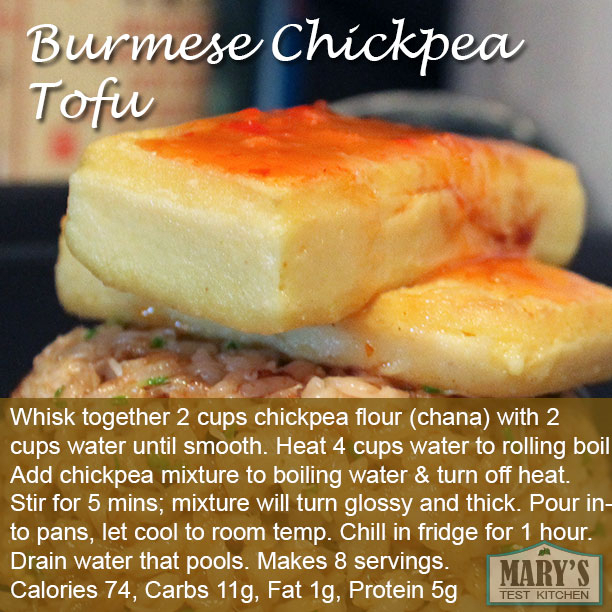 With a little searching I found this recipe from an omni blogger for Burmese Chickpea Tofu. I nixed the additives and just used chickpea flour and water. The result was a cross between scrambled eggs and silken tofu. It's actually great cut into cubes, dipped in a little flour and fried up. I've used it as salad toppings, on rice, in place of scrambled eggs and as the egg part of a quiche. Also, as I've found that it's really filling for the amount of calories. A really delicious variation is to replace the first 2 cups of water with strong vegetable broth. 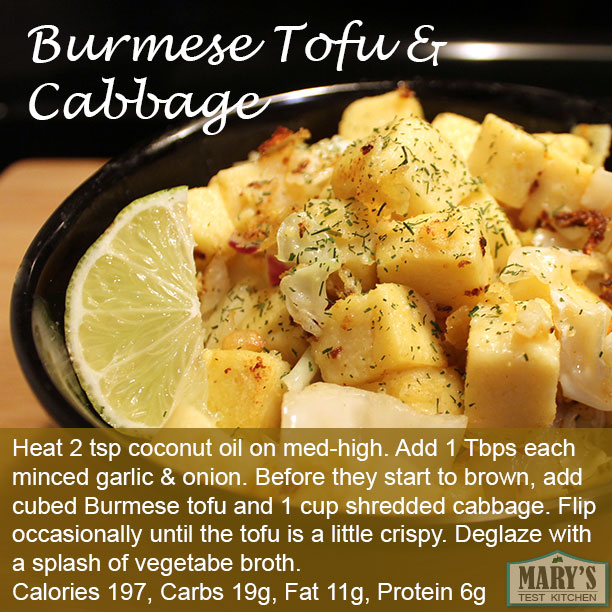 So what to do with all that Burmese Tofu? I made this dish a few times for breakfast. It reminds me of the scrambled eggs with onions and cabbage that my Dad used to make when I was younger. It's delicious while being VERY filling, full of vitamin C and fiber, while being low in calories. This is another recipe inspired by my childhood. I grew up eating either oatmeal or congee for breakfast. I much preferred congee days. This particular recipe is thinner than normal, but it has a rich flavour thanks to the broth and roasted sesame oil. 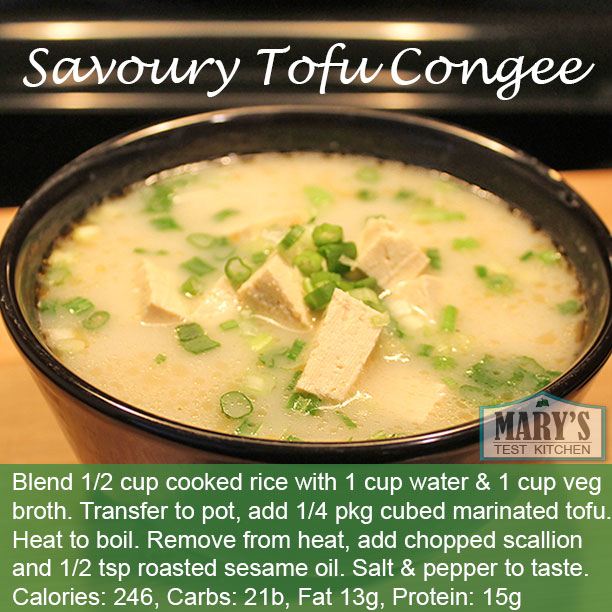 Again, the use of nicely marinated tofu makes this breakfast soup wonderfully savory, satisfying and high in protein. I use an immersion blender to blend the rice and broth until fairly smooth. You can also use a regular blender. Or, if you're like my mom who likes her congee with the rice still whole, you can simply beat it with a whisk.